Kosovo authorities said Marko Djuric, the head of the Serbian government office on Kosovo, entered the town of Mitrovica without authorisation. Kosovo police on Monday arrested a senior Serbian official after he crossed into the disputed territory and travelled to the flashpoint town of Mitrovica in defiance of a ban, a police spokesman said. Marko Djuric, Belgrade's chief negotiator for the former Serbian province that proclaimed independence in 2008, "was arrested and we are taking him to a police centre in Pristina," spokesman Baki Kelani said. Kosovo authorities said earlier that Djuric did not obtain authorisation to enter their territory. Serbian officials visiting Kosovo commonly seek Pristina's approval before visiting areas with an ethnic Serb population. 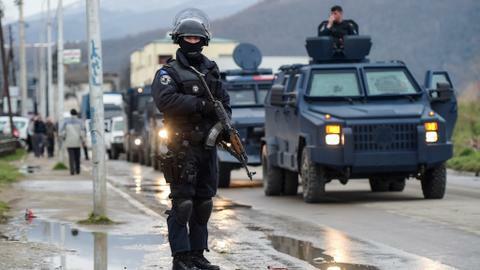 Hooded police, holding automatic weapons and accompanied by armoured vehicles, were deployed from the Serbian border to Mitrovica to prevent several Serbian officials from entering Kosovo, according to an AFP correspondent. However, Djuric arrived in Mitrovica despite the ban. He was accompanied by Nikola Selakovic, an advisor to President Aleksandar Vucic. 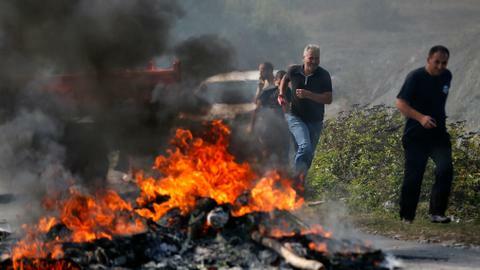 Kosovo authorities did not provide any information on Selakovic. Police had to make their way through a hall where Djuric was attending a conference, using tear gas to disperse dozens of Mitrovica residents who were trying to intervene. Nearly 20 years after the 1998-1999 war between Serb forces and Kosovo pro-independence ethnic Albanian guerillas, Mitrovica remains divided between ethnic Serbs, living north of the Ibar river, and ethnic Albanians, south of it. International forces are still deployed in the divided town. 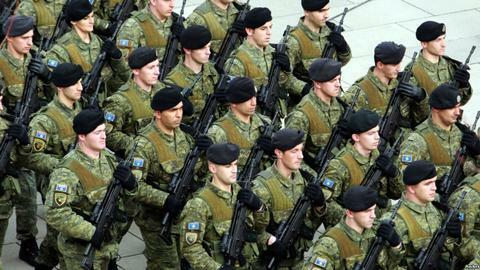 About 115 countries have recognised Kosovo's independence over the past 10 years. However, Serbia and dozens of other states, including its ally Russia, have not.